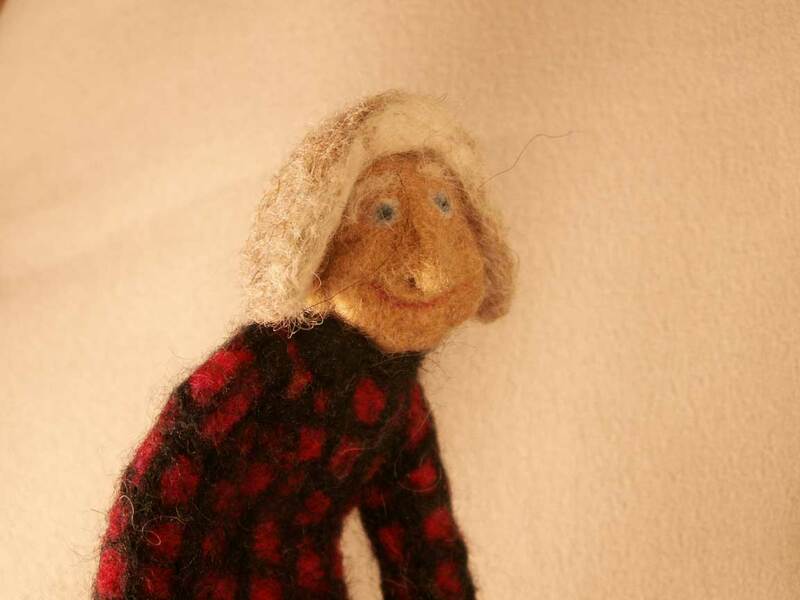 Home » Blog » Felt Alive Needle Felted Dolls » Mush!! Finally! 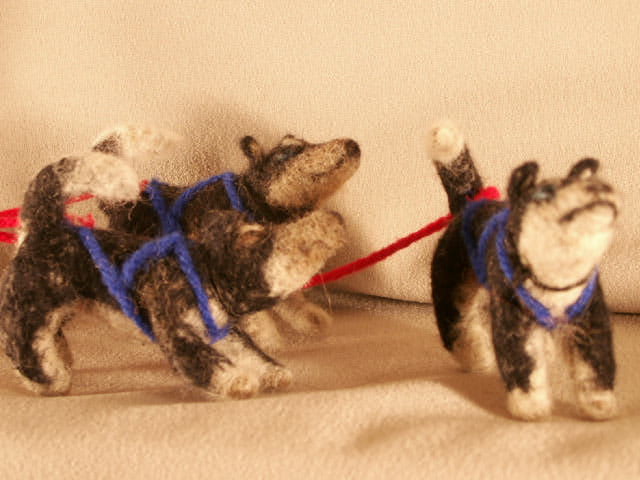 I finished my little sled dog team. It’s Grandpa Harry out for a Sunday drive with his pups. Grandpa doesn’t race anymore but he still loves to train and run his dogs. The pups are just mastering their sport. Grandpa taught them well as they navigate the trail like old pros. They love to run! Grandpa Harry is a true Alaskan Sourdough. You can tell by the Bunny Boots – that’s what we call those big, white, rubber Army issue boots that are insulated with air. He’s also wearing his green wool army pants and his trusty old Buffalo Plaid jacket. 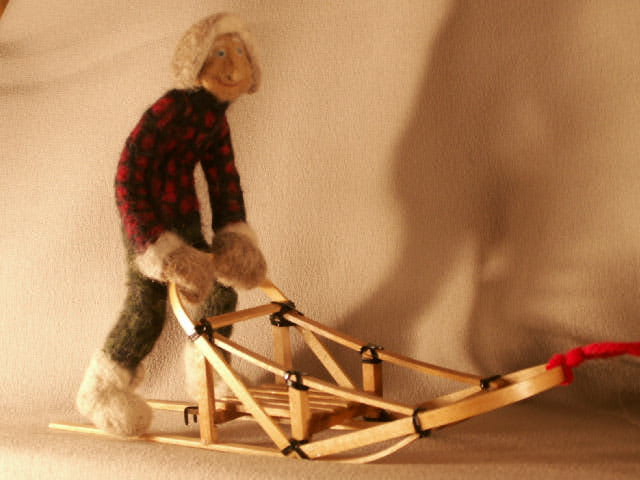 His fur trapper’s hat and mittens keep him warm and cozy. If he gets too hot, the hat comes off! 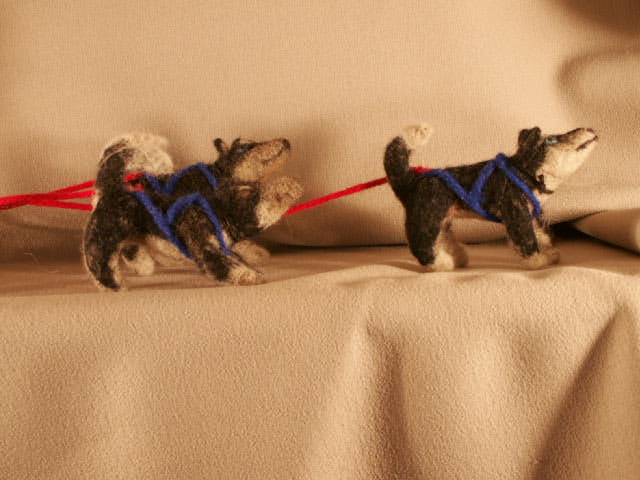 The pups are made from a variety of wool and even have shading done with Alaskan Husky fur. 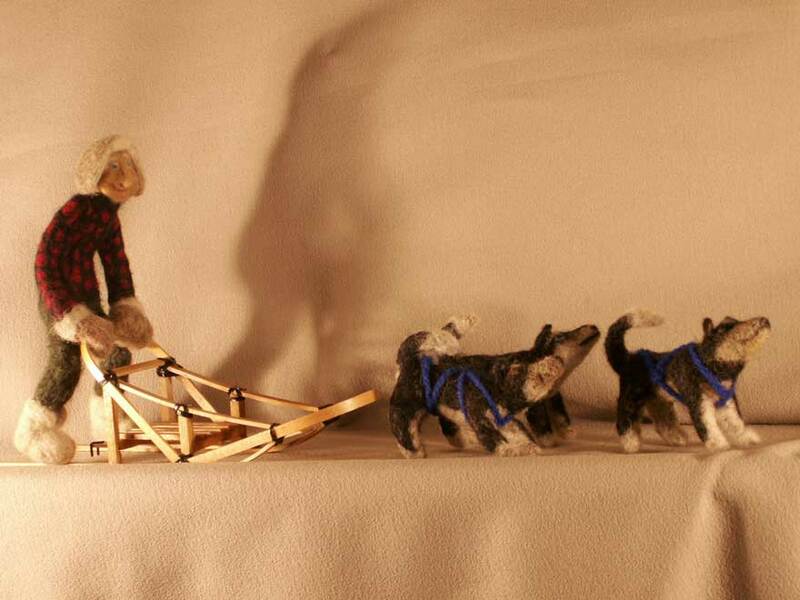 Grandpa stands about 6 1/2″ tall and the pups stand 2″ tall and 3″ long. Hi Kay, this is great! 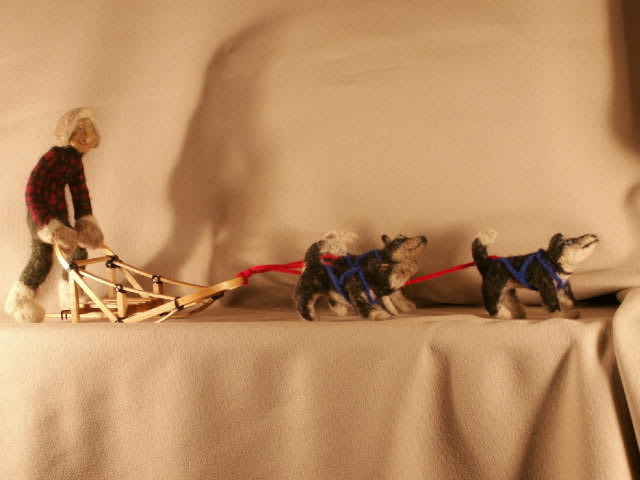 I like the musher, I think he looks like coming out of a puppet film… cool! by Reviewed by: Wendy from New Zealand . by Reviewed by: janet from Indiana, Pa.
by Reviewed by: Mn from Georgia.